Originally published in 2008 as part of the Life of Mary series. This post was updated on Dec 26, 2013. Remember to have your bibles ready! 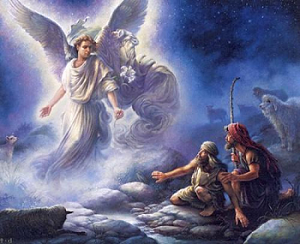 The thrilling and consoling news of the birth Messiah was immediately announced by the holy angels to a small number of chosen souls…[an] angel informed St. Elizabeth and her baby who clearly expressed his joy by waving his little arms. 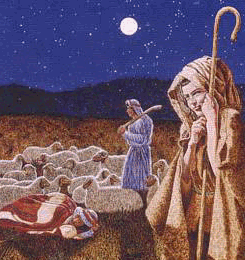 His mother at once sent one of her servants to Bethlehem with some money and linen for Mary. The mystery of the Saviour’s birth was revealed to the holy old priest Simeon and to Anna, Mary’s former teacher, in the Temple in Jerusalem. 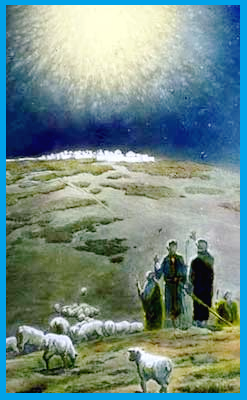 In the Orient, each of the three Magi was enlightened by angels concerning the Incarnation of the Redeemer of mankind, which they had long expected, and perceiving the mystic star, they set out on their pilgrimage to the…new born King of kings. And this will be a sign for you. 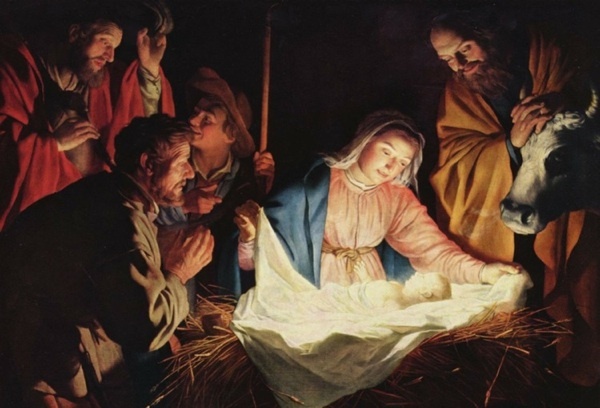 You will find an infant …lying in a manger.